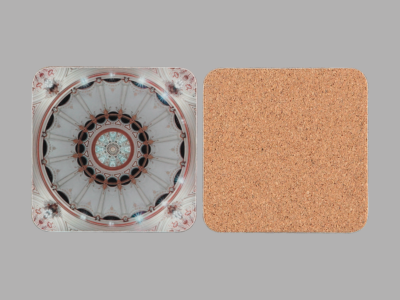 Putting your feet up with a glass of wine or a cuppa after a great night out at the opera requires a set of our tastefully designed coasters. 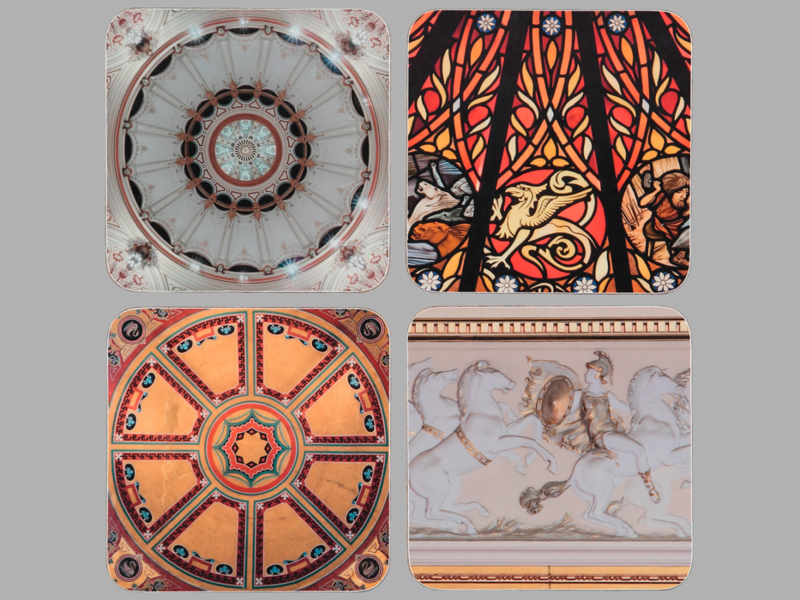 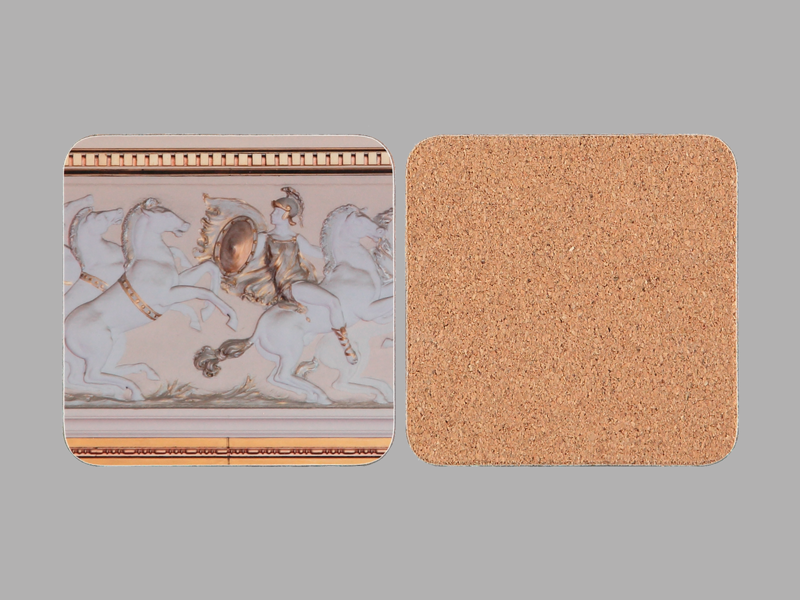 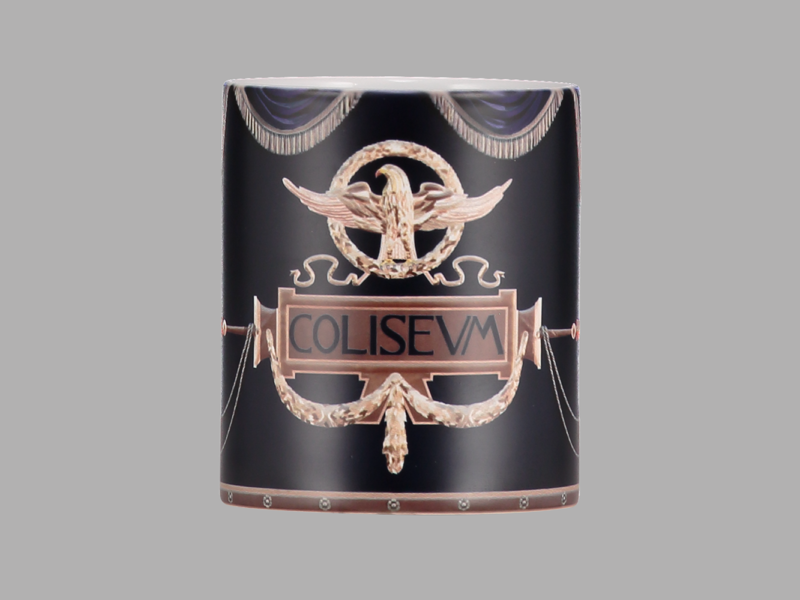 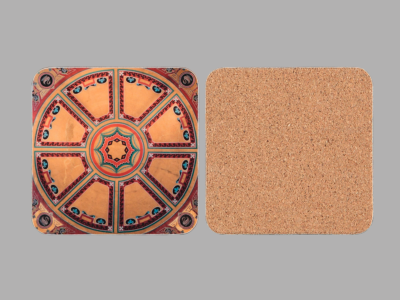 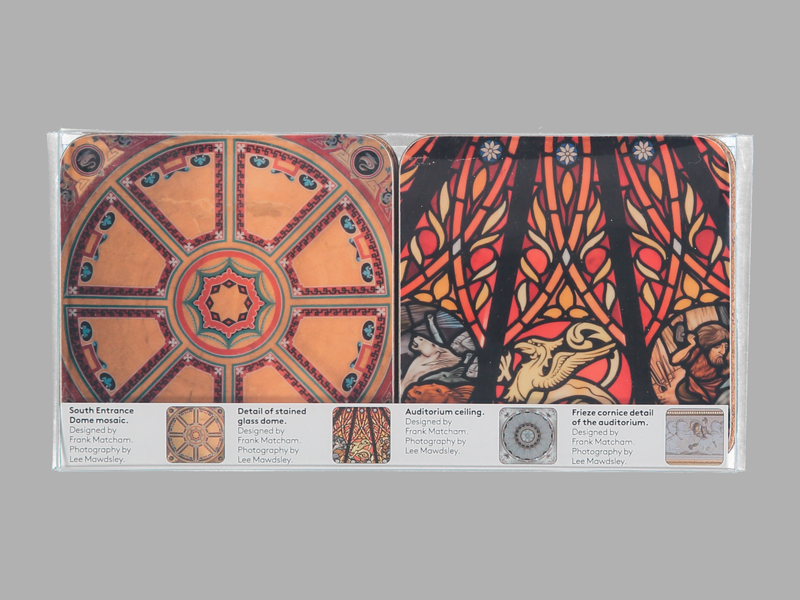 Protect those surfaces with our cork backed coasters featuring the stained glass dome at the Upper Circle level of the theatre, the London Coliseum foyer mosaic, the magnificent auditorium ceiling and a detail from the auditorium frieze designed by Frank Matcham. 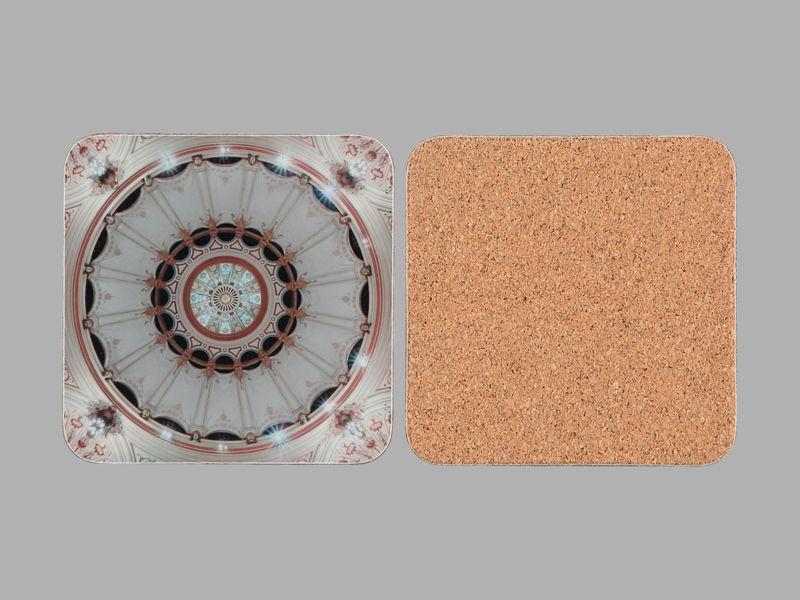 Melamine Coasters 98 x98 mm. 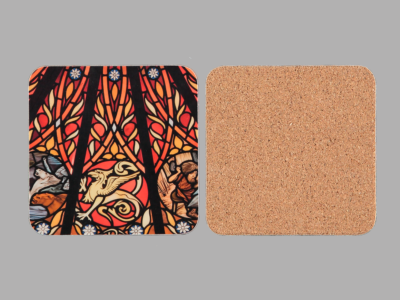 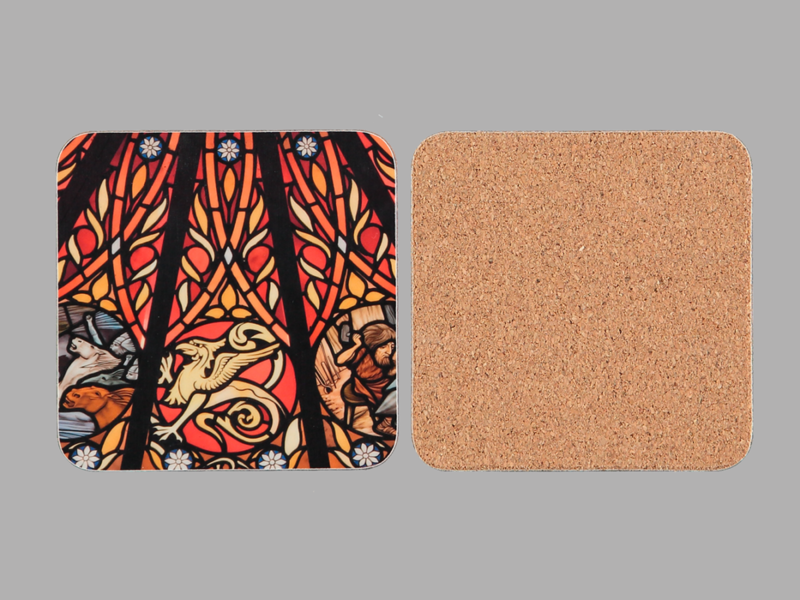 Satin Finish, cork backed, presented in an clear acetate box with card insert.